Well this was a treat. I have never seen one in person but, as I strolled along at a recent car show, there it was. A miniature semi truck. Why, you ask, would someone want a this? 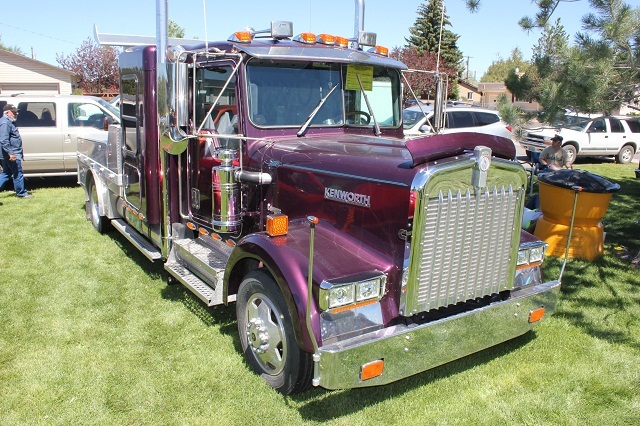 Because Kenworth. Some of you may remember a previous post about Lil’ Kenny, which is a fiberglass kit that converts your Ford pickup into a fabulous miniature semi truck. (Why you haven’t done it yet remains a mystery.) That post included the following photo, which I am posting again because…well, any excuse to post this photo works for me. Few photos in this world rival this for artistic merit and subject matter interest. Technically, this truck was not a genuine Lil’ Kenny, as the body was custom made by its owner with help from several different shops. But let’s not dwell on technicalities here. What we need to dwell on is the sheer awesome we are looking at here. The child to the right gives some perspective on this rig’s size. Both the rig and the child were actual size. 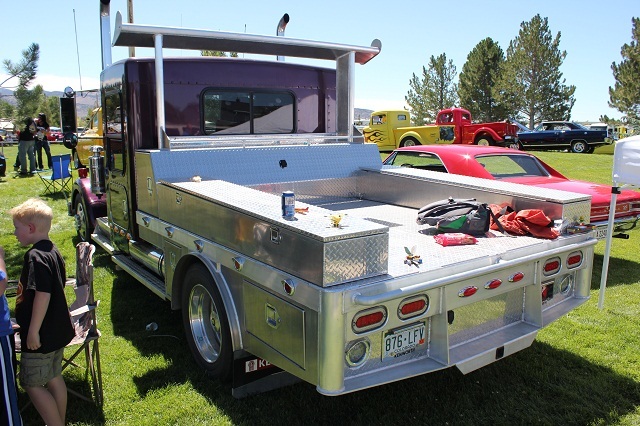 This Kennito is outfitted with a custom cab, a Cummins engine, and an aluminum bed. According to its owner, the bed alone cost north of $20k, so this thing is no joke, investment-wise. One look at that spoiler and you’ll agree that it was money well spent. What good is this thing? 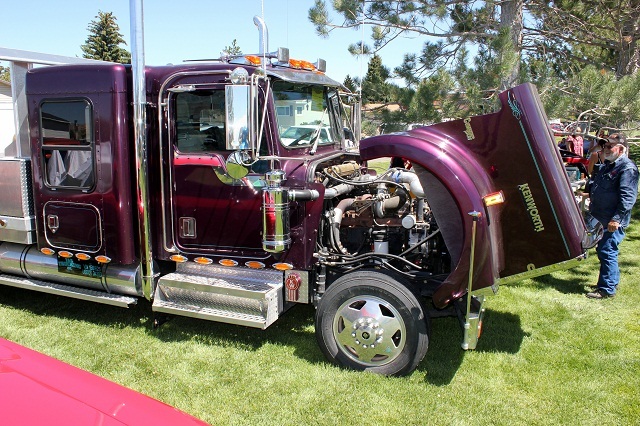 Well, besides being the coolest thing on the block, this rig is used by its owner for road trips, towing, and as a promotional tool for his trucking business. I didn’t count them all, but I’m sure it has at least 101 uses. Thankfully, there is a C.B. radio in the rig as well, though it is not pictured here. 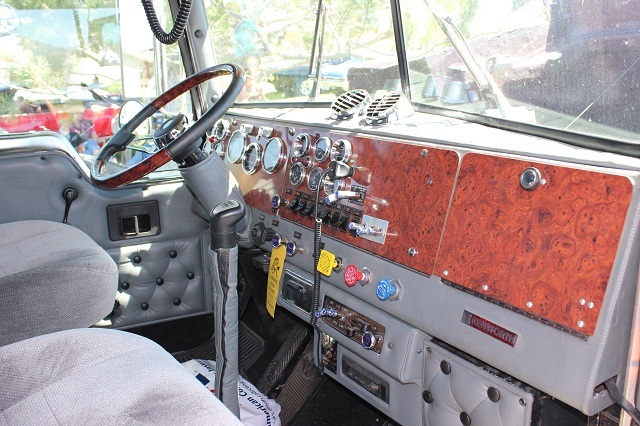 Otherwise, the interior is nicely outfitted with all the modern conveniences. Also, the sleeper looks quite hospitable for those long hauls. All in all, this Lil’ Blogger was highly impressed with this Lil’ Kenny. The scale of the project (see what I did there?) was impressive and the conversion was downright credible. Sure, it wasn’t the real Lil’ Kenny thing, but it may be as close as I’ll ever get to it. For that, I am grateful. 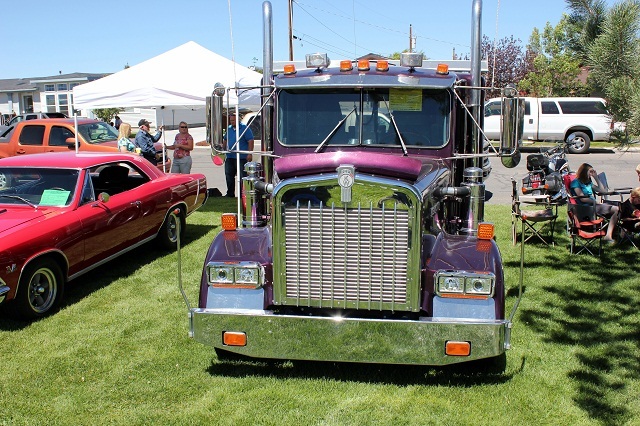 This entry was posted in Car art, Custom, Mini Trucks and tagged Because Kenworth, Lil' Kenny, Little Big Rig, Mini big rig, Where's the mini lot lizard?, YES!. Bookmark the permalink.